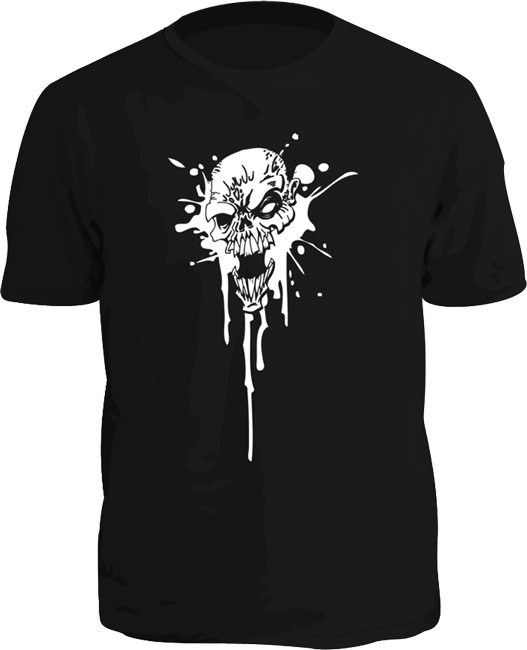 The undead are walking and they hunger for shiiiiiirts! 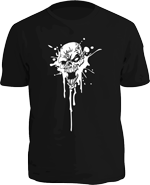 This shirt has Alex Fernandez' zombie head on the front and the Zombie Dice logo on the back. You can indulge your fashion sense, terrify the living, and announce yourself to fellow players. Push your luck and eat brains with Zombie Dice! 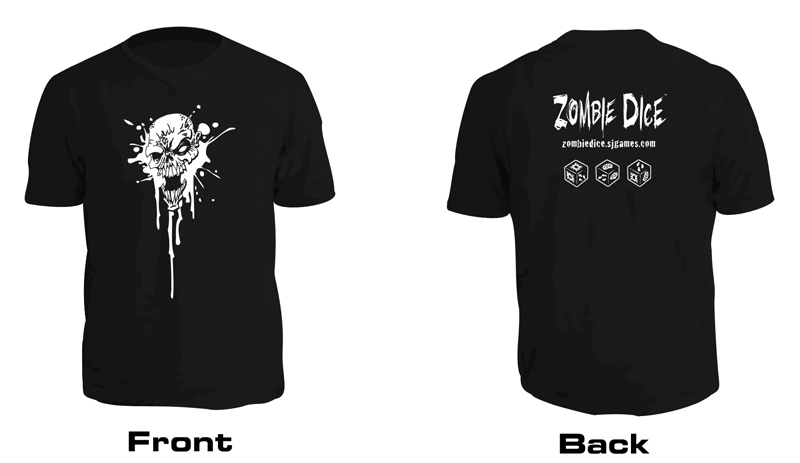 Zombie Dice Horde Edition -- Eat brains. Don't get shotgunned. Now with expansions! Carry your brains in style with the Zombie Dice Brain Case! Score some braaaaiiins with the Zombie Dice Score Pad. Driiiiiiiiinnnnnnnks. It's a Zombie Dice glass for your favorite beverage!